The Brexit derby is getting tasty. The meeting of the Republic of Ireland and Northern Ireland is just another drab friendly, but the Michael Obafemi developments and the Brexit deal which seems to be moving the island closer to unity has made it more interesting. On The Football Spin, Paddy McKenna and Dion Fanning discuss the rise of Northern Ireland as an economic powerhouse on the back of the success of the Brexit deal on Wednesday, and the fall of Northern Ireland as an economic powerhouse on the back of the failure of the Brexit deal on Thursday. 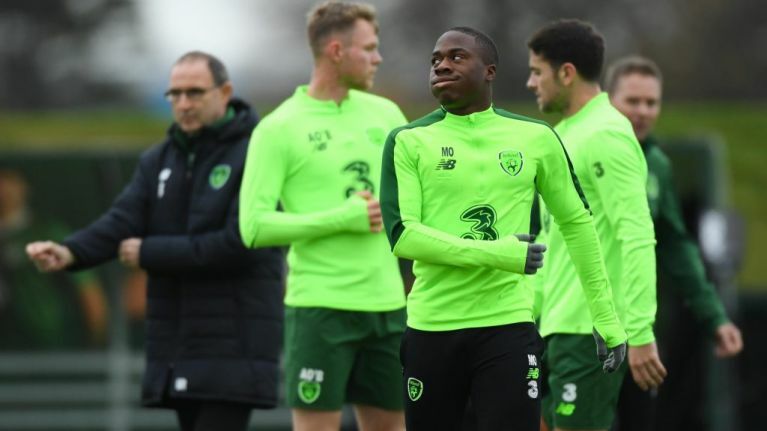 Meanwhile there is more confusion about a potential Ireland international and SportsJOE's Rob Redmond explains what is happening with Michael Obafemi and why Martin O'Neill has added to the confusion. There is also time to look ahead to the Nations League game on Monday and the relegation prospects for Ireland, while Richard Scudamore's parting gift is discussed. And as Brexit destroys the UK, will it make English football great again. Dion Fanning explains why it won't.